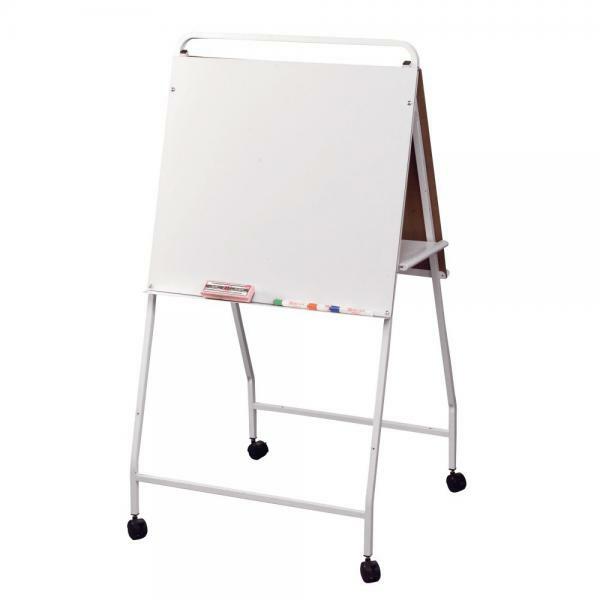 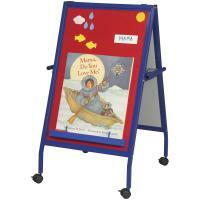 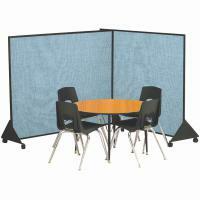 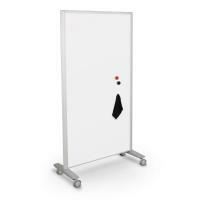 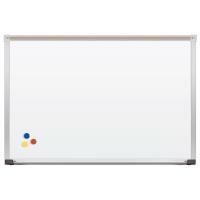 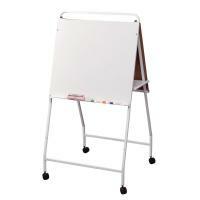 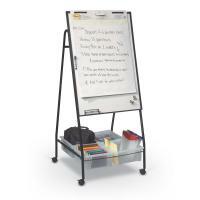 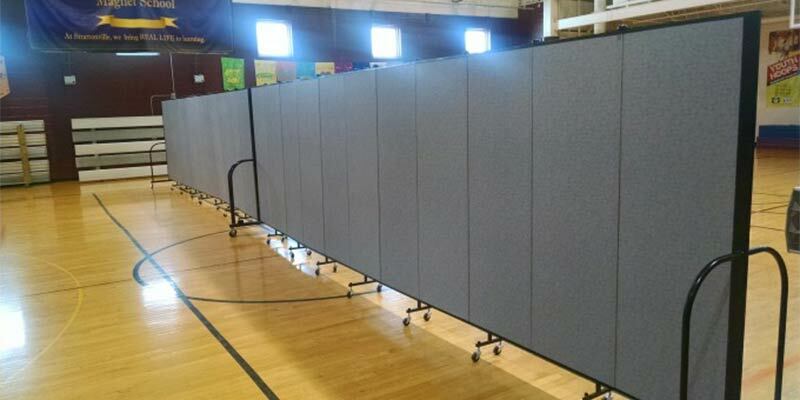 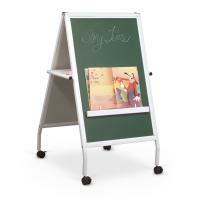 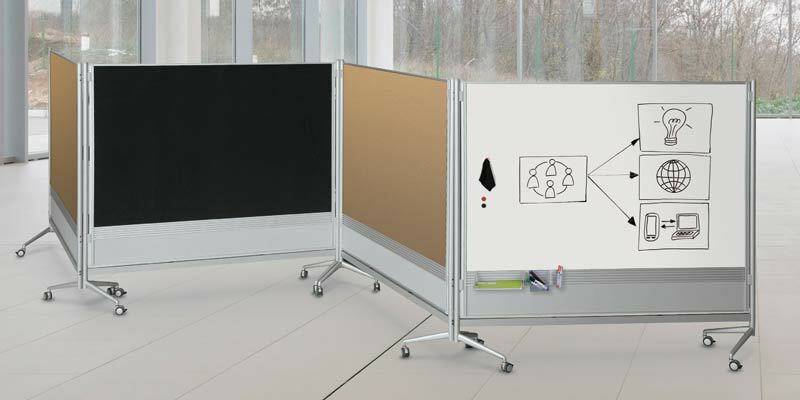 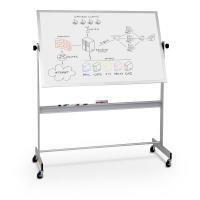 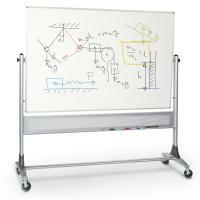 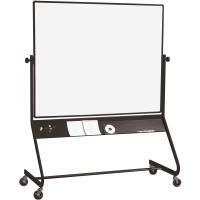 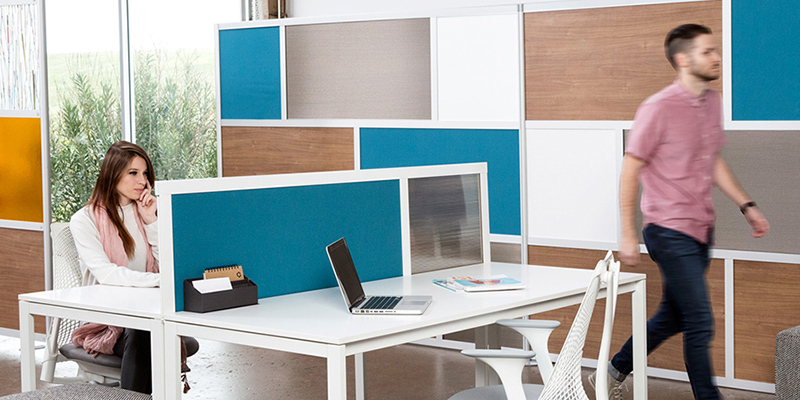 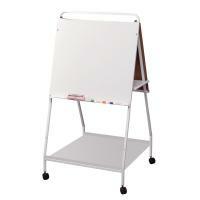 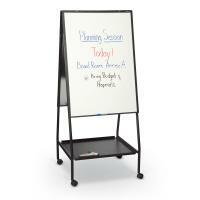 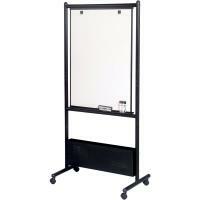 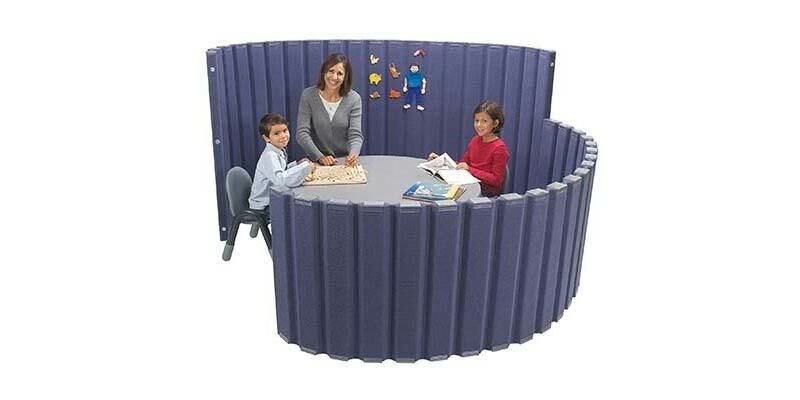 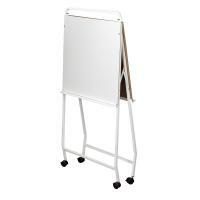 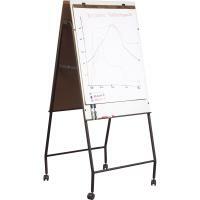 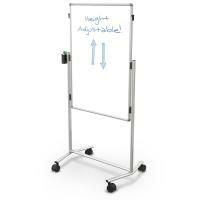 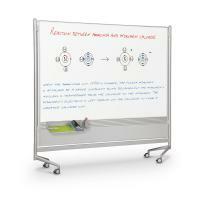 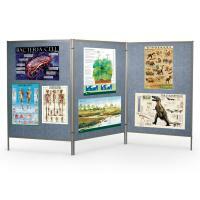 The Eco Wheasel is a double-sided easel with lightweight melamine dry erase surfaces. 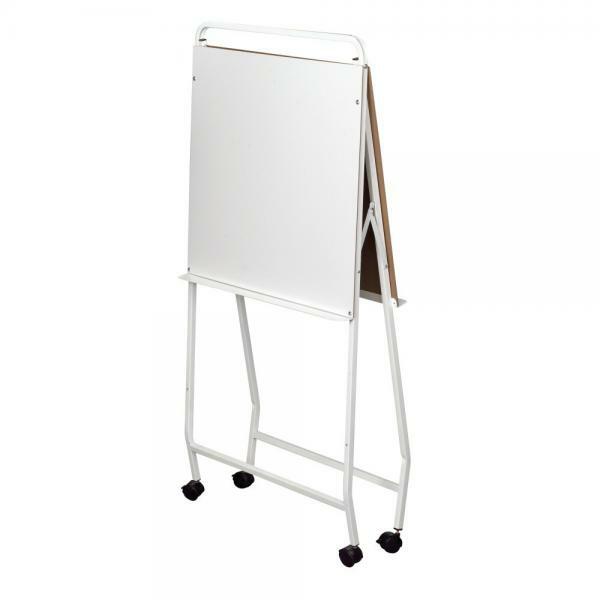 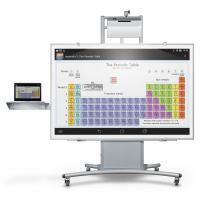 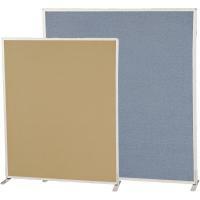 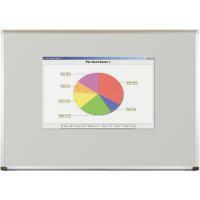 Surfaces measure 23"H x 28 3/4"W, include a tray and two flip chart hooks. 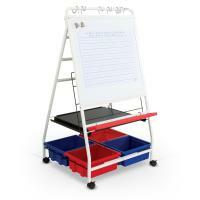 Includes middle accessory tray. 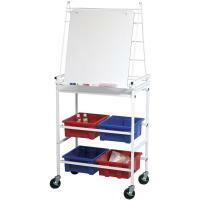 Optional bottom tray is available. 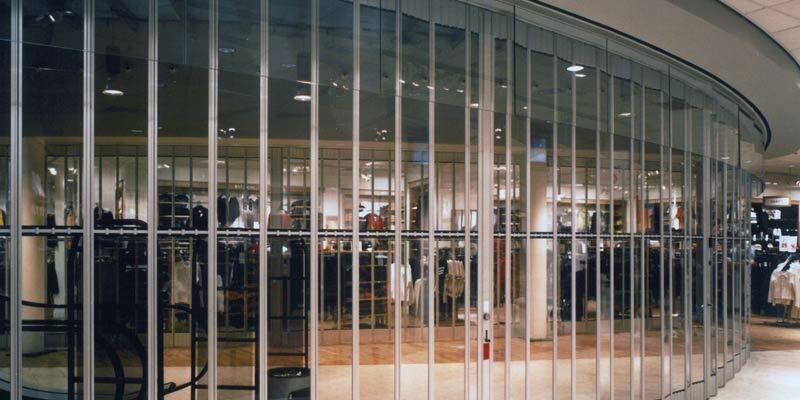 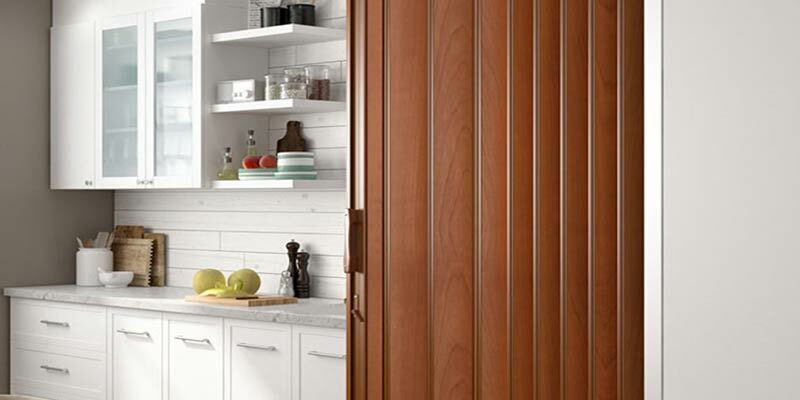 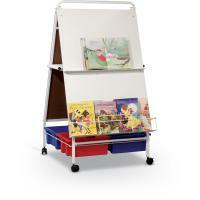 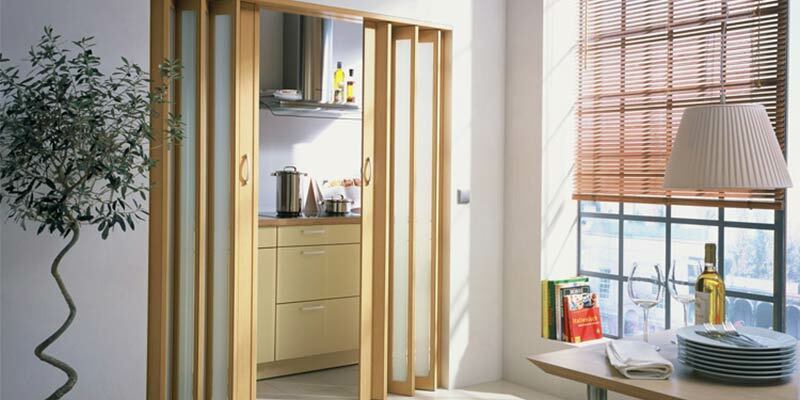 White powder-coated steel frame folds for storage and includes 2" locking casters.